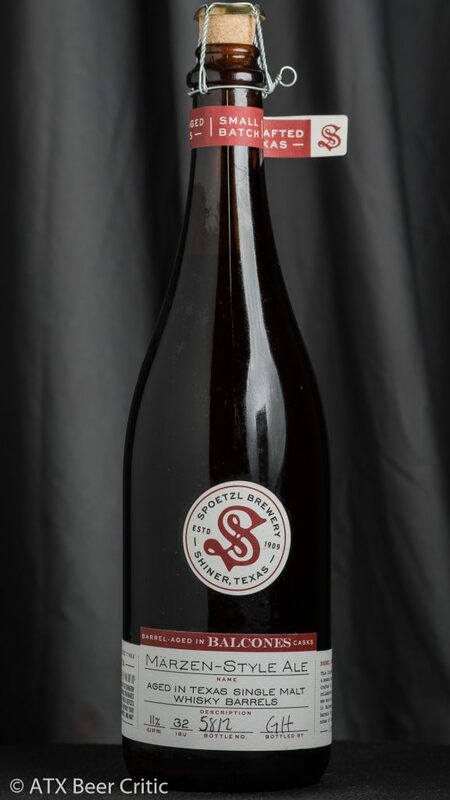 “For 109 years, Spoetzl Brewery has delivered best in class craft beer. We are excited to get back to our roots with the second release of our small batch brewing program. Barrel-aging is wildly popular from beer to coffee, not to mention the original way to make a Märzen-style lager. 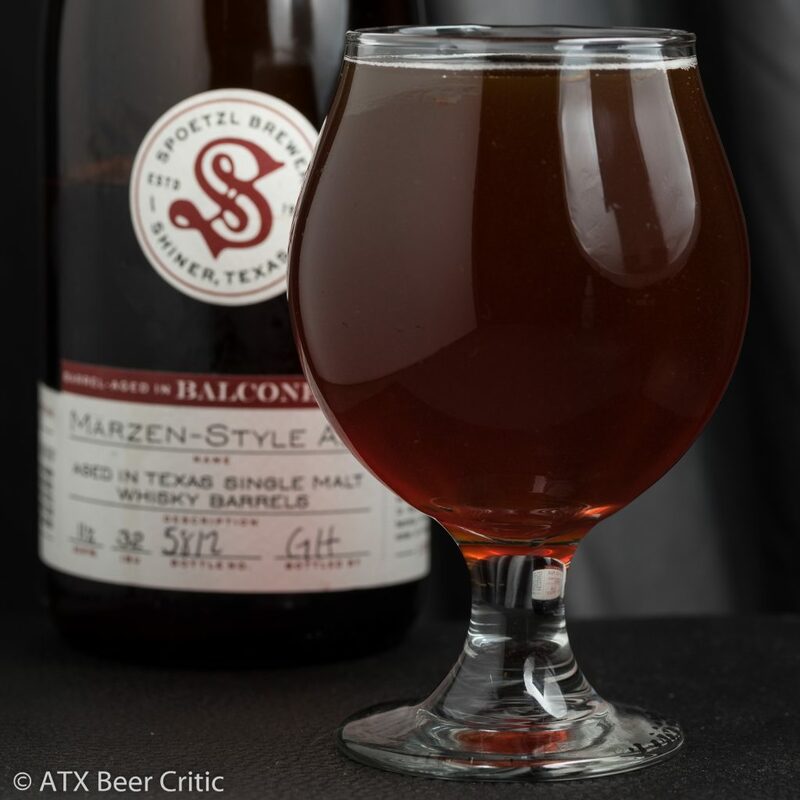 For this reason, it was great to work with our friends over at Balcones Distilling, the most awarded Texas whisky, as the tannins from whisky-soaked barrels naturally increase the clarity of the beer while also imparting a unique roundness and incredible color to the beer,” said Tom Fiorenzi, Director of Brewing at Spoetzl Brewery. Multiple aromas hit the nose immediately with medium-high intensity. Vanilla, wood, toffee, and bourbon all intermix. A deep bread crust malt aroma also joins in. There’s a smattering of earthy, spicy hops as well. It’s hard to get any fermentation character from the other elements, aside from a noticeable ethanol warmth. As it warms up, the aroma melds into almost a cotton candy note. Pours a deep amber, light copper colored liquid. Small and fine bubbles compose a moderate beige head. Retention is average, yet above average for the style. Great clarity. 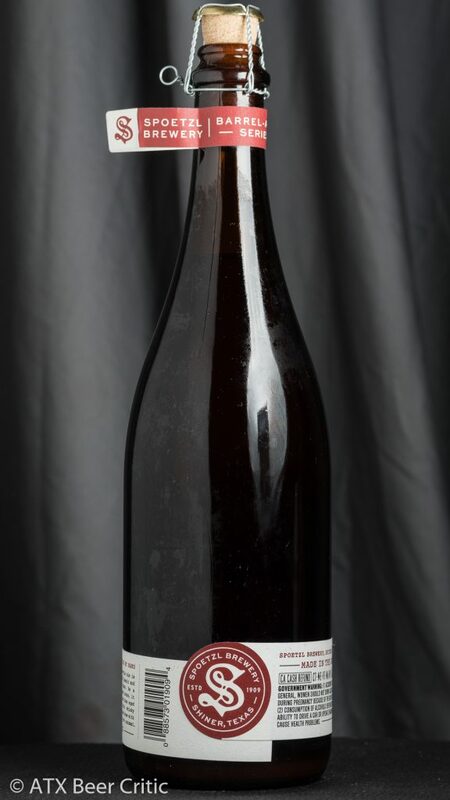 Some particles can be roused from the bottle’s bottom. Deep bready , grainy and biscuity malt flavor at a medium-high level is noticeable first. This is then joined by the vanilla, oaky, toffee, whisky notes. Towards the midtaste a touch of plum and raisin comes out. A bit of earthy hop character, with a touch of red apple comes out towards the finish. There’s a low-medium sweetness, which isn’t cloying. The finish fades softly, leaving a smattering of whisky and vanilla notes. Some ethanol is perceivable on the tongue. Balance is heavily malt and barrel weighted. Medium-high bodied. A moderate carbonation prickles the cheeks. Some chewiness, with a slight stickiness or viscosity on the cheeks after the finish. Moderate alcohol warmth in the back of the mouth. This is a great marzen-style ale (whatever that is). The malt character really hits home, true to the marzen style. The ale fermentation was present particularly in the finish. This seemed to work well with the barrel aging character. While it’s hidden pretty well, the 11% abv alcohol note does get taxing on this. It has a lingering burn on the tongue, but not overwhelming per say, but really slows this beer’s drinkablity down. I’d like to see this more in the 9% range to pair better with the “Marzen” style. It’s a minor nit pick, as I’d recommend this purchase to anyone. For the past few months, I’ve had multiple people tell me that this beer was the best they’ve ever had from shiner. I decided to let might mellow at cellar temps for a few months before opening. The flavors have really melded together well here. I’m not sure what made shiner decide to use ale yeast in this beer, but I think it helped provide some additional body which really complimented the oak and whisky notes. I’m going to have to agree with those people. This beer is just so expertly blended and balanced. It just works so well. They spent some time on the packaging too, and it looks slick. Note: When opening this, it took me about 3 minutes to pry the cork out by hand. 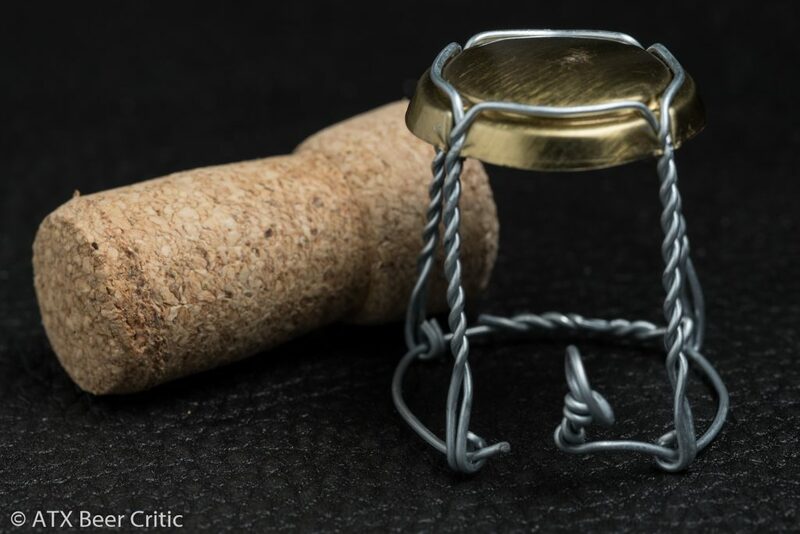 I’ve never seen a beer cork stuck in like that. It’s a bit longer than I’ve seen used in bottles like this. The cage also broke too, when I attempted to unscrew it, which I’ve never seen happen before either. See the picture below.